Ayam Elezz means Old Golden Days (incase if you were wondering) and that’s exactly how the experience unfolds, a blend of rich colours kept minimum which feels like you are at home and its the 60’s as the Lebanese-style doorway welcomes you and a cart is the first thing that your eyes will notice! It is located in the mall and the outdoor sitting is a bonus as for the relaxed atmosphere and beautiful surroundings including the birds chipping, old clocks ticking, soulful music playing and a sneak peak of Burj Al Arab. The restaurant offers traditional Lebanese food and we got to sample the ‘Breakfast Tray’otherwise known as Morning Glory. When I read about it, I felt that it won’t be enough for two as it had many side items than main but I was wrong and you will know why a little later. Jams– Pita bread with jams is definitely the new cool or maybe I am too late, nevertheless, my taste buds quite liked it. Foul– It is similar to beans and it was creamy and dry at the same time. Lets just call it…comforting glory. Labneh– There were two kinds- Lebnah balls and in a dip form. It was my favourite dip in the tray, had it with the cucumber slices, baby tomatoes , olives and pita bread! Such a fun feast! Zaatar– Personally, I am not a big fan of thyme but my sisters loved it and they do recommend it! 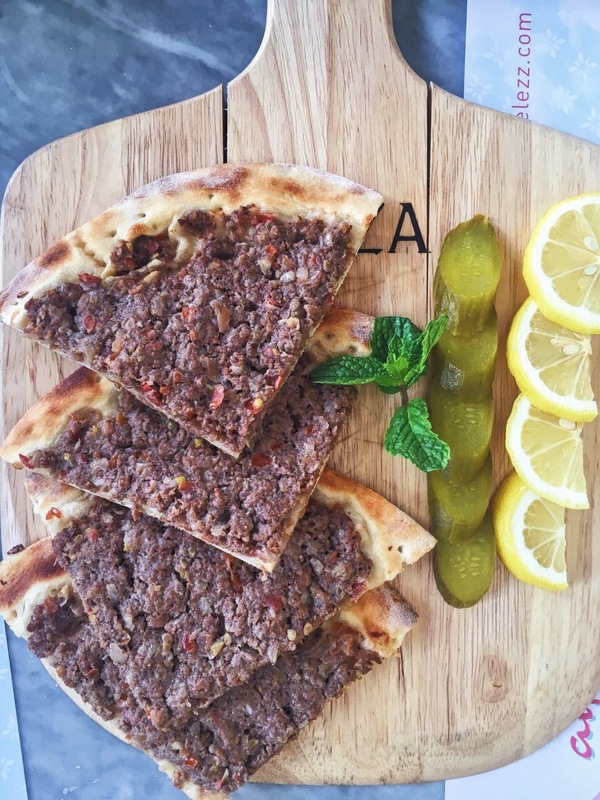 We also had Manakish from the breakfast menu and it was lightly brown and the meat is well cooked but we were so full that it was difficult to finish so that is when we knew that the breakfast tray is good enough for two. Overall, it was a super successful discovery as we had so much fun eating some of the traditional and delicious breakfast Lebanese items in a very calm ambiance and excellent services were provided Mr.Mohammad. Morning Glory (breakfast tray) priced at DHS 89 for two persons with orange juice or tea. Thank you to Ayam Elezz team!